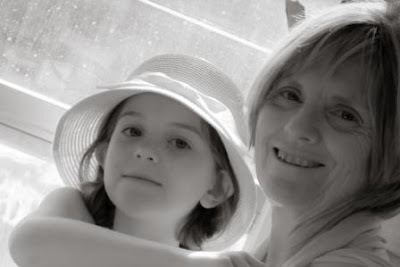 Here my Mum is with Isobel on the train into Paris last September. Isobel had been missing her "Neannie" dreadfully while we were travelling so this was an exciting day - she wouldn't leave Mum's side once they were re-united in Versailles. Mum has had to share her birthday with another important person all her life. Happy Birthday to the World's Best Mum (and Neannie)!